All options include a t-shirt or tank! 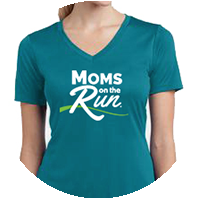 If you would prefer to pay by check email contact newbrighton@momsontherun.com. ​​Our 5k interval training classes help women move from mostly walking to running or jogging to running using cardiovascular intervals. A short strength training component, usually 15 minutes, concludes the class. My name is Emily, and I'm proud to say that as of January 2018, I became the new owner of both New Brighton/St. Anthony and Roseville Moms on the Run!! With a BA in Health and Physical Education from Augsburg College, as well as a certification in Health Coaching, my passion for health and fitness has always been a strong presence in my life. My philosophy to a healthy lifestyle follows a holistic approach, and my passion is guiding others to discover their best and most balanced life as a whole person. Running has always been part of a happy balance in my life, as a way to stay physically fit, spend time with family and friends, and be a part of nature. My husband and I have been married for 14 years and have 2 sons and a daughter. After running my own in-home daycare for ten years, I am now able to follow my passion as an MOTR owner! I love running on the trails. My most recent race was the 50 mile Superior Trail Race in September 2018-something I couldn't have done without the support of my amazing MOTR Team!! I believe strongly in the support and encouragement of fellow female runners, who motivate me to stay strong on the road, on the trails, and in my life!! 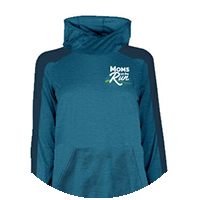 I am in my 5th year with Moms on the Run. I am a mom to 2 boys, a stepmom to a "grownup" stepdaughter and a wife to an ultrarunner husband. When I am not running after my family, I am running around with my room full of kindergarten students. I started running in my 30s then took a few years off when my kids were little (I don't recommend this to anybody!) 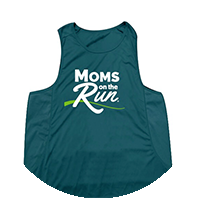 After a couple of years of running alone I found Moms on the Run and I've never looked back! I made great friends, achieved new running goals and even run a RAGNAR race!! I was a volunteer coach for 3 years before I became a head coach in April 2018! My goal is to support all levels of runners, reminding them you don't need the "perfect runners' body" to run. Runners come in all shapes and sizes--your body is a runner's body! !